There are a remarkably large number of sites that can register businesses: Yelp, Zomato, LocalBusiness, Google+, YellowPages, Facebook, and more can all be used to establish business profiles. While staying on top of all of these can be beneficial to improving your business’s profile, you also need to be careful to make sure the information presented is both accurate and consistent. In most cases, this just means being sure that you don’t have a typo in your business’s name or information. However, you also need to make sure the information stays accurate and up-to-date. If you change location, get a new phone number, or update your services, you don’t want older info floating around. Another crucial element to keep accurate is your name, address, phone number, and web site (NAPW). If a potential customer looks you up on Yelp or Google+ and likes what they see, you want them to be able to find you. And if the information they need is inconsistent or missing, customers are more likely to just find somewhere else rather than sort out the discrepancies themselves. Keep a list of online local directories where your business is profiled and go through them every time part of your NAPW changes. If possible, consider embedding a Google Maps link to your address on your main web site to further help people find you, and when listing your location, consider pointing out obvious landmarks if any are around. When customers look up your local business on a directory, they have specific goals in mind. Your NAPW has already been covered, but there are other valuable bits of information that customers will want: this includes things like your hours of operation, proximity to the customer (hence the Google Maps suggestion above), prices, a bit of product or service info, credentials, and reviews or ratings. Yes, all of this information should be on your main web site and your directory should link to it, but not all customers are going to bother taking that extra step; especially if there’s another option that has a more detailed profile ready for them. Updating all your profiles to have this sort of detail is going to be a bit time-consuming, but it will pay off. Customers are comparing—and they will compare—you to another option in the directory, but you are likely to win out if your page is informative and detailed compared to just having the bare essentials. Keeping your local directory listings current and informative is a good SEO practice because it ties into the idea of a user experience. How user-friendly your pages are is a big factor in Google’s eyes. Fortunately, it’s also easy to tell what kind of user experience your site offers. In addition to tools such as Google Analytics, put yourself in the shoes of a prospective customer: how many steps are involved to find out what your business is? Where are you? How does someone reach or contact you? How long does it take for the customer to find the information they want? While beneficial for any web site, local businesses benefit most from having mobile-friendly pages. Local searches are most commonly performed on-the-go, so your web site needs to be ready to be seen on smartphones, tablets, and iPads. If someone is searching on a mobile device, Google will automatically prioritize mobile-friendliness in its results. One way to ensure ongoing visitors to your site and to produce fresh content is to run a blog. By following and writing about both industry trends and any local/community events (especially those you sponsor or participate in), you can provide some extra variety to visitors and improve how authoritative your site appears to Google’s algorithms. Having said that, keep in mind that Google does not respond well to thin content, placeholder pieces, or even posts that are relevant but not thought-out. Don’t be afraid to outsource your blogging. Reviews are one of the biggest factors when customers decide which local business they want to visit. Direct customer feedback on your performance can be both a blessing and a curse, so it helps to know how to make the most of this crucial element. First, consider simple means like a sign by the door or a note on the receipt or menu inviting customers to review you on Yelp or similar sites. You can even put a QR code on the menu so customers can immediately get a link to your directory page. Lastly, there are also the tried-and-true comment cards. If a negative review happens—and there will always be at least one—be sure to follow up on them to find out what the customer’s experience was and what can be done to improve it. A business that is responsive of criticism and works to improve itself can generate plenty of goodwill and word of mouth on its own. 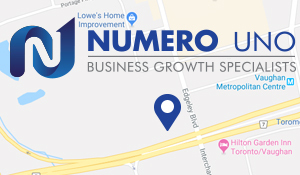 Numero Uno Web Solutions is a provider of search engine optimization and local marketing solutions for businesses of all sizes and across all industries. We use these tips and more in our regular drive to produce quality local SEO plans to fuel the growth of businesses across communities. Click here to learn more about SEO techniques and how we can help improve your local search profile.